Delicious, fudgey, brownies packed with 10 grams of protein per serving! Who doesn't love a good brownie? I for sure do! However, ever since I've been married (going on seven years) I've had an urge to continually improve my health especially in my nutrition. My wife sometimes hates it because I say I'm concocting some sort of dessert, she expects something delicious, she partakes, usually followed by something to the extent of, "You tried to make this healthy, didn't you?". That question is usually followed by a discontent "Why?". The reason is because I want to enjoy all of my favorite treats and sweets without all the guilt! As you can tell, my success rate with constructing healthy desserts has been almost nonexistent. Well, BIG NEWS! I really think I hit the nail on the head with this recipe. 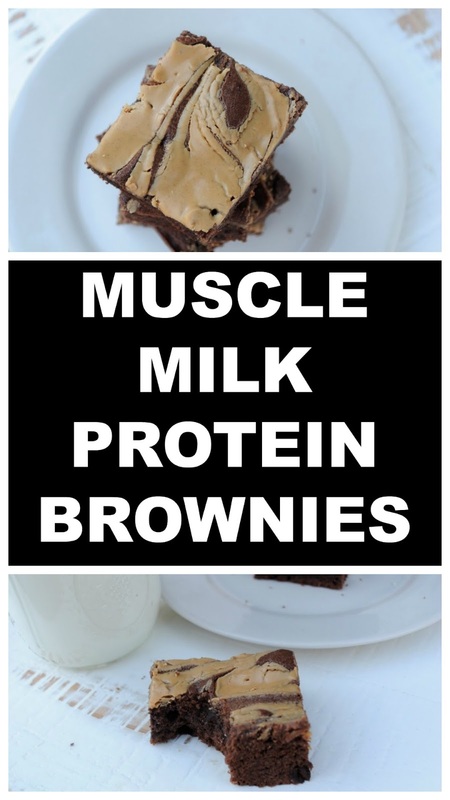 These brownies are absolutely packed with protein and relatively low in fat! My wife loved them and I of course loved them! It is like a dream come true anytime I make something traditionally fatty and sugary healthy and can get my wife to like it. This was one of those instances! Hope you enjoy this recipe as much as I am right now!